A female reporter from the BBC Russian Service has joined the group of journalists accusing MP Leonid Slutsky of harassment, and claims to have records of their conversation. The lawmaker continues to deny the charges. According to the reporter, Farida Rustamova, the incident took place in March 2017 when she visited Leonid Slutsky in his State Duma office to get comments on Marine Le Pen’s visit to Russia. However, instead of talking on the subject, she says Slutsky began to make advances and at one point briefly groped her. Rustamova claims that she recorded her conversation with Slutsky and says that the lawmaker was aware of this. However, the BBC has chosen not to make the records public for the time being. The journalist has so far not made any formal complaints about the MP’s alleged behavior, neither with the police nor with Russia’s lower house Commission for Ethics, which deals with such issues. The claim is the third open accusation against Slutsky in less than a month. The scandal began in mid-February, when Russia’s Dozhd TV station quoted three unnamed female journalists as saying that they had allegedly become victims of harassment from Slutsky. The lawmaker dismissed the reports as a smear campaign, and urged his accusers to speak openly and present proof. Following that, the deputy chief editor of the US-based Russian language television RTVI, Yekaterina Kotrikadze, made a live statement claiming that in 2011 she was allegedly harassed by Slutsky, also in his office during discussions on a future interview. A producer working for Dozhd, Darya Zhuk, also openly stated that she had allegedly suffered from Slutsky’s sexual harassment and wrote a letter to the State Duma Ethics Committee providing details. Slutsky continues to deny all charges and describes the whole situation as a provocation. On Wednesday, he reiterated his position, but noted that he would give explanations to the Duma Ethics Commission after it sends him a request with details of the accusations. The commission’s chairman, Otari Arshba, said that the only formal complaint, the letter from Zhuk, will be looked into immediately after the State Duma returns from a recess, which will happen after the March 18 presidential elections. 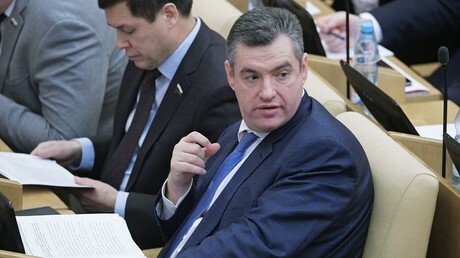 State Duma Speaker Vyacheslav Volodin has told reporters that he was taking the situation under personal control. When Volodin faced questions about the developments on Wednesday, he suggested that female reporters who thought that working in the Russian parliament was too dangerous should try working elsewhere. After this, the Duma speaker congratulated everyone on the forthcoming International Women’s Day. Russian criminal law already has an article against “forcing someone into sexual relations,” which carries up to one year of forced labor or imprisonment, but it is only applied when harassment is accompanied by blackmail or damage to property, and when the victim is dependent on the suspect in a material sense or due to work subordination. 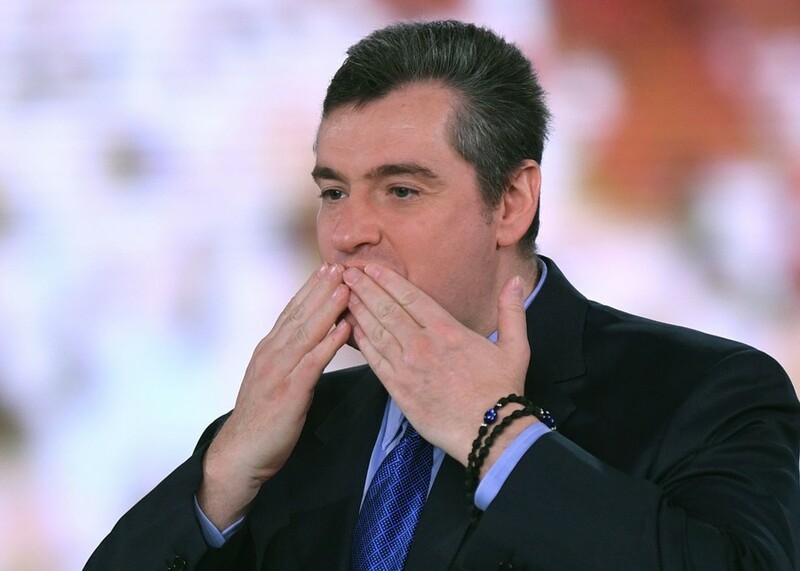 In 2014, MP Oleg Nilov, of the center-left party Fair Russia, drafted a bill punishing sexual harassment and unwanted flirting in open and concealed forms with large fines, but the motion was rejected by State Duma experts who decided that it duplicated existing laws. As the scandal surrounding Slutsky began to develop, the deputy head of the State Duma Committee for Family Affairs, Oksana Pushkina, promised to fast-track the old bill enforcing gender equality and targeting sexual harassment. This motion was originally developed and drafted in early 2003, by a group of lawmakers headed by the current State Duma Speaker Volodin. It describes various measures to guarantee gender equality and prevent any discrimination based on gender. The bill reads that “officials from state agencies and municipal bodies of power who violate the legal norms guaranteeing equal rights and equal opportunities for their realization for men and women must bear constitutional, disciplinary and criminal responsibility in accordance with the law.” The State Duma passed the bill in the first reading, but its further movement has stalled.